Easy marinara sauce made from scratch. Perfect to serve over pasta or chicken dishes. 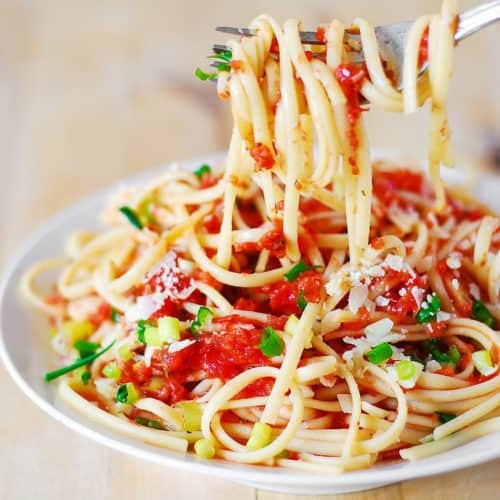 One of the best and most delicious pasta sauce recipes is a simple marinara sauce, which can be served over a large variety of pasta (fettuccine, linguine, short and long pasta, etc.). 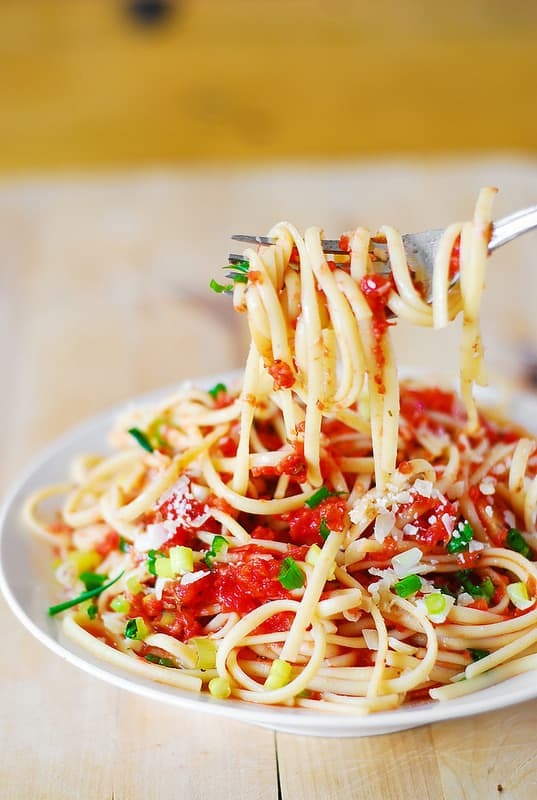 Perhaps, most often it is served over spaghetti as a meatless spaghetti sauce or spaghetti marinara. So, what is a marinara sauce? 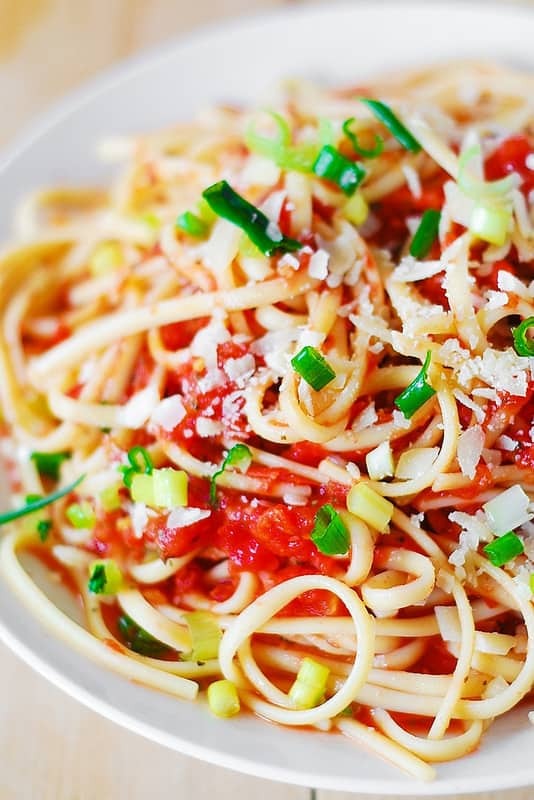 Marinara sauce is a basic tomato sauce, made with tomatoes, garlic, onions, and herbs (usually basil), some red pepper flakes, and a little bit of red wine. 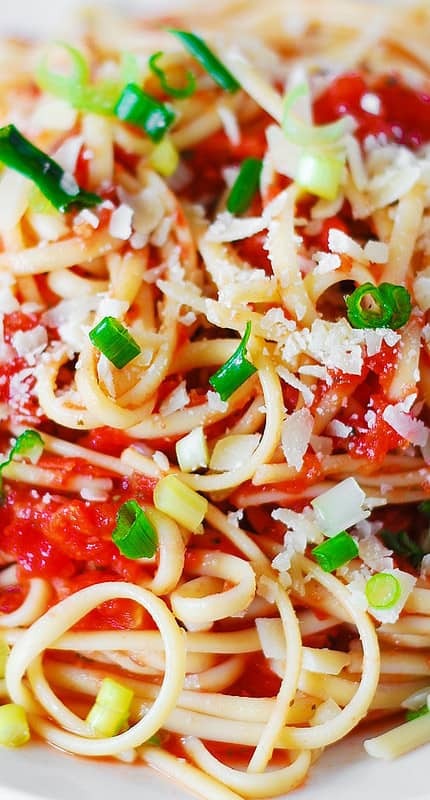 Marinara sauce is meant to be very simple. There is no need to over-think this sauce. There is no need to over-complicate it with more ingredients. The deliciousness of this sauce comes from its simplicity. Because this sauce is so simple, your kids will love it! 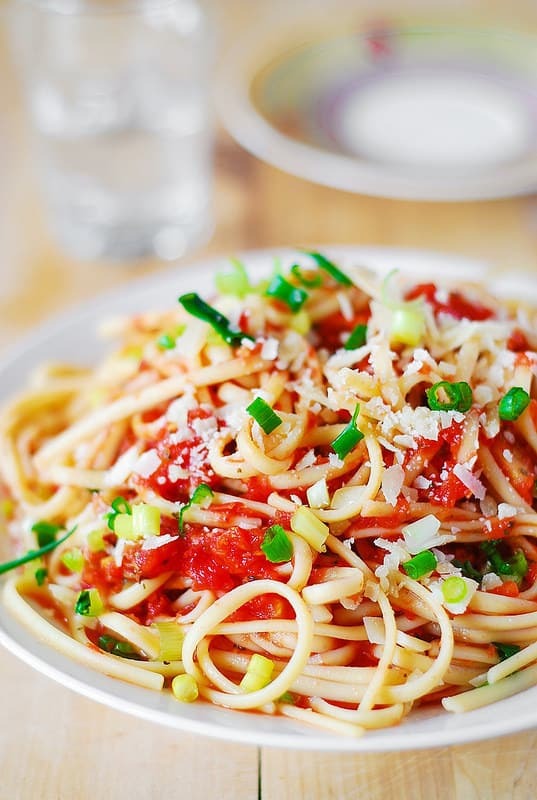 Just boil some spaghetti or linguine, mix it in with some marinara, sprinkle with grated Parmesan cheese – and this dish will be a favorite with kids and adults alike! The marinara sauce takes only 30 minutes to make and is so convenient because you’re using the most basic items from your pantry! Easy marinara sauce made from scratch - classic Italian pasta sauce. 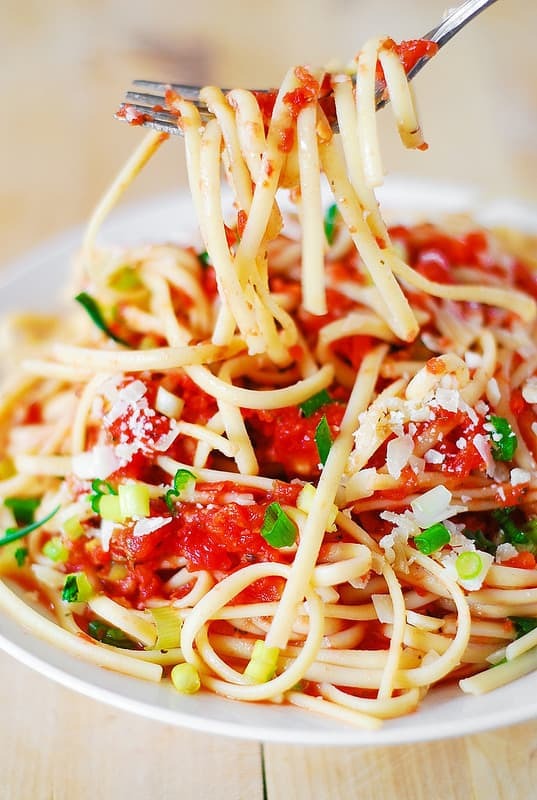 Perfect to serve over pasta (spaghetti, linguine, fettuccine, etc.) or chicken dishes. Heat olive oil over medium heat, add onion, garlic and cook until softened, about 3 minutes. Add tomatoes and basil and wine and cook the sauce on medium-low heat, while it simmers covered, for about 30 minutes. Place the sauce in food processor and process until puree consistency. Return the sauce to the same pan, re-heat gently and add salt and pepper to taste. I am making this tonight minus the onions. Thanks for a great recipe. Love the easy elegance of this sauce.